How peer influence has become such a crucial factor when it comes to choosing junk foods by young children these days! D got introduced to "Chupa chup lollipop” by her friend and now whenever she goes to the supermarket, she inevitably picks up one piece. As much as I tell her not to swallow the bubble gum inside the lollipop, she believes in her friend (who is 2 years younger btw) who apparently advised her, “you can swallow, nothing will happen”. she shouted, “Amma, look what I found - Jim Jam biscuits”. I asked her, “eh, how did you know about it?”. Pat came the reply, “ I tasted it at my friend X (another friend)’s home”. As much as I try to reduce the exposure, she will inevitably learn about these new junk foods in the market from her friends. All I can do is educate her, moderate the junk intake and ensure she eats healthy, home-cooked meals. Anyway, the point of this article is to show you an example of how junk food brands add “sugar” in various forms. Take a look at this pack of Britannia Treat JimJam cream biscuits with “naughty” jam. - The “mummoorthigal” (Trimurti) present in almost all junk foods are right there on top - maida, sugar and palm oil. All three are extremely bad for our children’s health. 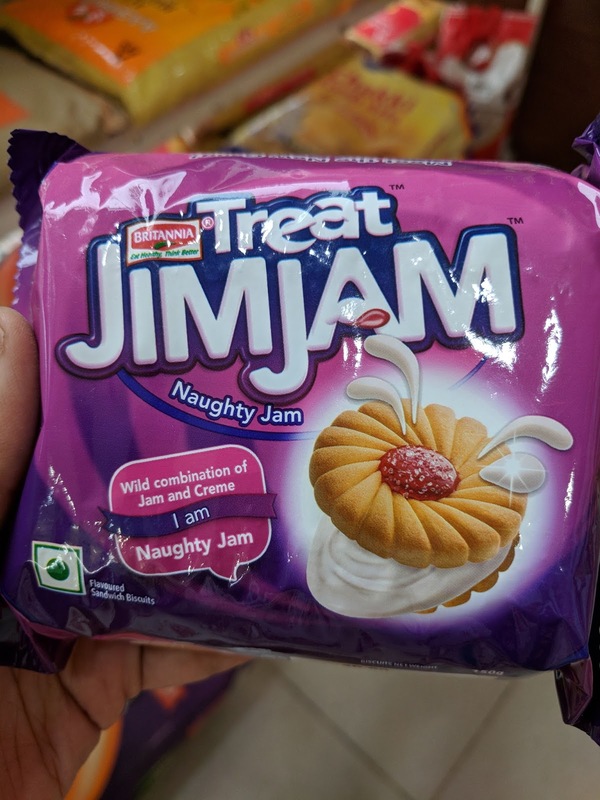 - The usual set of additives in the form of emulsifiers, raising agents, stabilisers, food colours etc are also present in this “naughty” JimJam biscuits as well. - How much sugar does this pack contain? Can you take a guess? What an easy question! 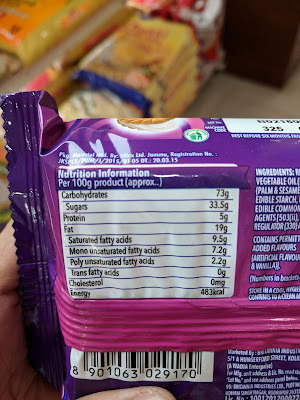 It says 23% right there, so a 100 gm pack will obviously contain 23 gm of sugar. Ah, read further if that was your response. Food brands hide Sugar in other forms - invert syrup, dextrose, maltodextrin are all other names and avatars of sugar. 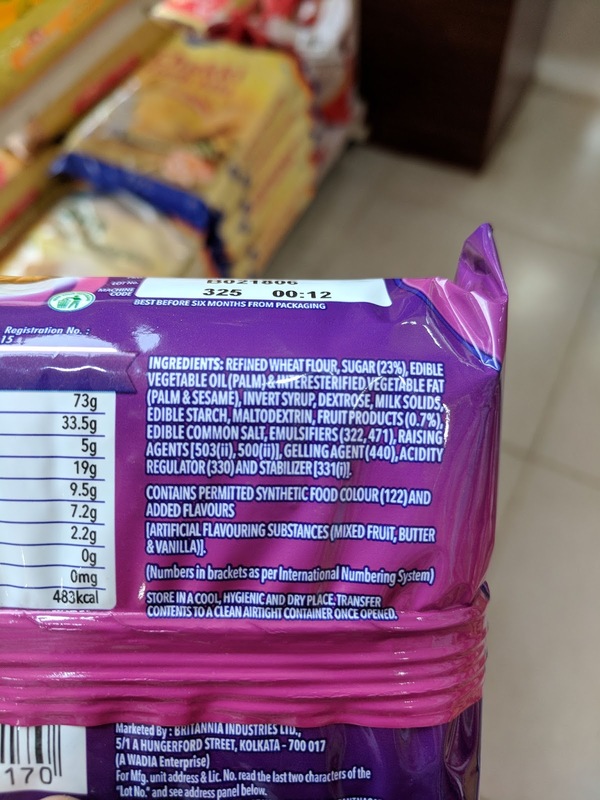 If you carefully look at the nutrition facts table, 100 gm pack contains 33.5 gm of sugar, which translates to a whopping 8.5 tsp of sugar. ALWAYS, ALWAYS look at the nutrition table and do not rely on the % of sugar mentioned in Ingredients, which could be misleading. I came across this quote in Adam Grant’s newsletter. It was an aha moment for me, when I read this quote. How true it is! It seriously irks me when people just mindlessly throw packets and packets of junk food into their shopping trolley without even looking at the pack. "Arre, atleast look at the expiry date”, is what I want to yell. 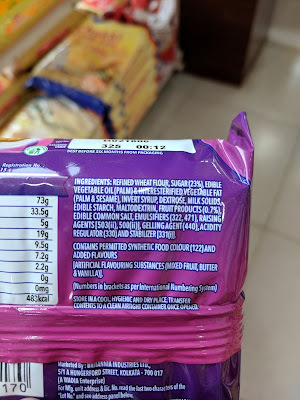 If you value your child’s health, pay attention to the ingredients, go through the nutrition facts table and yes, check that expiry date for God’s sake. Hello Anuradha, What is your email address to get in touch? We would like to collaborate with you and spread the message to snack right.